When it comes to the future of affirmative action, look to California, where all the Asian Americans are. 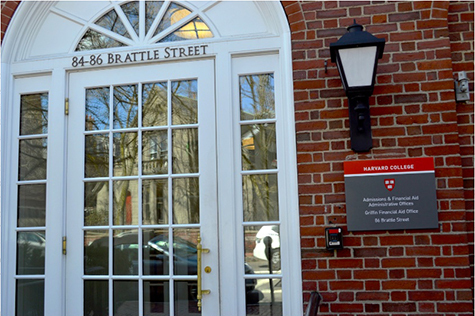 Don’t look to Harvard and the lawsuit being waged against that school, which may ultimately make its way to the Supreme Court. That case is more like a crimson-tinted red herring. It’s being backed by a white anti-affirmative action group that likes to cloak itself in rhetoric about fairness and equity, but is really all about the preservation of white privilege in our country. Unfortunately, having failed before in the Supreme Court in its case involving U. of Texas at Austin, the group has adopted a new tack this time around: Use Asian Americans as white proxies to fight the anti-affirmative action battle, and go after Harvard. It’s anti-affirmative action in yellowface. After nearly four years, it’s reached a new boiling point with the discovery of a document that many Asian Americans see as proof that Harvard discriminates against Asians. The document shows that Harvard actually assigned personality points to applicants. Asian Americans generally scored much lower there, enough to negate any advantages in SAT points. An analysis by a Duke professor aiding the anti-Harvard plaintiffs reportedly showed that an Asian American male with a 25 percent chance of admission would actually have a 32 percent chance of admission if he were white. That small edge is enough to disadvantage Asians in favor of whites. When comparing Asians to other groups, the disadvantage grows considerably; An Asian applicant if he were Latino would have a 77 percent chance of admission, and an Asian if he were black would have a 95 percent chance. Is the Duke document the smoking gun? I’m not a Harvard apologist, but I am a Harvard alum. I bristle at the notion of personality points based possibly on stereotypes as an element in a “whole student” approach in admission. But I’d like to think my charm score would have enhanced my candidacy. Still, a personality score would only be discrimination if it’s applied just to Asians and not anyone else. That clearly wasn’t the case. If more than one awkward white/black/Latino nerd with perfect scores and excessive GPAs were denied because of lack of charm, it’s not discrimination. Then again, the personal factor was just one, among many factors that include geography, demographics, athletics, and legacy, among others. Harvard may have a problem in explaining its admissions process, but a personality score is no reason to get rid of or change the established view on affirmative action for the nation. Ever since the Bakke case and most recently in Fisher, quotas have been illegal, and race can be used as part of a “whole student” approach to admission. Did Harvard do anything illegal? If it did (and that Duke document doesn’t prove it), then Harvard should be punished. But the notion of affirmative action as an idea for the country should remain intact. It’s imperfect, but something tells me some Asian Americans won’t be happy until every Asian American kid with a 4.0 GPA and perfect SATs gets accepted. I haven’t seen the document, but according to the NY Times, Harvard officials conceded that a 2013 internal review found that if Harvard considered only academic achievement, the Asian-American share of the class would rise to 43 percent. But what does that prove? It’s never going to be based on academics alone. When the whole formula considers geography, athleticism, extra-curriculars, and legacy, the number dwindles to 26 percent, according to the paper. Don’t tell that to the proxy whites who feel their Tiger Kid’s perfect scores earn him a place in Harvard Yard. Currently, Harvard’s class of 2021 is 14.6 percent African American, 22.2 percent Asian American, 11.6 percent Hispanic, and 2.5 percent Native American or Pacific Islander. A Harvard that’s 40 to 50 percent Asian? As I said, that’s not going to happen. I don’t know if the Harvard case will end up before the Supreme Court, but the recent elimination by the Justice and Education Departments of the Obama administration guidelines aren’t a good sign. It seems to be a set up for a reversal of affirmative action, especially if a conservative justice is appointed to the high court. We should fight on the appointment. And we should continue to fight on any reversal of affirmative action. But here’s one hopeful sign in California. This month, the University of California offered admission to nearly 137,000 students, including a record number of transfer applicants. Among freshman applicants, Asian American students remained the largest ethnic group admitted at 36 percent, followed by Latinos at 33 percent, whites at 22 percent and African Americans at 5 percent. American Indians, Pacific Islanders and applicants who did not report a race or ethnicity made up the remainder of admitted students. The significance is affirmative action was done away with in public education in California when the state voted for Proposition 209 in 1996. Since then, pro-affirmative action folks have tried to get rid of 209 and restore a more equitable system that considers race. But anti-affirmative action folks, led primarily by Asian Americans, derailed a legislative change just a few years ago. So far, the number of Asians at UC remains steady in that 30-40 percent range based on campus. (But people still grouse when their kid gets into UC Riverside and not UC Berkeley). A quick glance will show that blind admissions is far from perfect, but comes close. Latinos are near equity. Non-Hispanic whites are underrepresented. African Americans are slightly overrepresented, though still low in real numbers. And Asian Americans are still vastly overrepresented. This is the state that has the highest number of Asians and Hispanics in the nation. A blind system has made everyone’s job tougher. But notice, diversity is still there. The problem is, it still may not be enough for those on the anti-affirmative action side. I’m not talking about the white proxy Asians, I’m talking about the whites against affirmative action. They’re the ones pushing the bogus fight. They need to realize that colorblind admissions, which has been seen as the preferred alternative to affirmative action, is far from perfect–for whites. And maybe that’s the message we should get across to all white anti-affirmative action types as we gird up for the coming political fight. If the goal is to fight the trend of diversity in our nation, stop now. You can’t do it. And blind admissions and appropriating Martin Luther King’s words aren’t going to make you appear to be pure of heart. The message to Asian Americans who have served, wittingly or unwittingly as white proxies, is slightly different. Get a grip. You’ve been used in a carefully planned divide and conquer strategy that has split Asians from other people of color, as well as amongst ourselves. Remember that in the civil rights era, there was a hard-fought battle against all-white educational institutions. What makes you think all Asian educational institutions would be an acceptable goal in the name of fairness and equity? The anti-affirmative action Asian Americans need to understand who’s victimizing whom. They are the yellowface of a self-interested white preservation movement that doesn’t care for a minute about fairness, equity, or Asian Americans.